Don’t think I’ve heard any non-Perry Journey stuff… Didn’t even know they had another guitarist! Yeah and an early drummer too. Prairie Prince was in the band before Aynsley. But never recorded with the band. The earliest stuff is definitely different! Ha! Something I actually know! I like this one and its predecessor. The fusion/jazz-rock influence is well done. But I’ve never heard anything beyond these first two (and don’t plan to!!). The third album Next is very much like this. I think you would like that one too. Bewdy. I’ll add it to the list. No kidding and Aynley would be gone replaced by the amazing Steve Smith! My favourite Journey drummer by far is Steve Smith. Oh yeah Smith is awesome ! I’m glad you use the words “favorite Journey drummer” because Aynsley Dunbar is a far better drummer then Smith. It’s also interesting how Dunbar was fired or quit due to he didn’t like the pop music style that Journey was turning into and he didn’t really care for Perry. I had the privilege of seeing both versions of Journey live (with Aynsley and the other with Smith) and the pre-Perry version was so much better as a true rock band. Thanks for noticing the wording — that was intentional. Aynsley’s more technical, and I do love ’em both. But sometimes…you just have to choose a favourite. Very cool you’ve seen the band live with such incredible lineups! I love the early, pre-Perry albums, but that’s not surprising considering how much I love Santana, jazz-fusion & prog. I can only imagine fans of their hits checking these out for the first time. Another nice & concise review, and I’m in complete agreement with your assessment. I only have two of these — this one and Next. Still missing the debut! Have you seen Santana in the classic lineup? I’m hoping they’ll make it it Europe. Saw them in 1987 with Buddy Miles, Alex Ligertwood (whom I recently saw in a small club with Brian Auger), and Alphonso Johnson in the band. Phillip, I haven’t seen the reunited classic Santana lineup but I bought the album which is very good (if a bit unnecessarily long), and I will get the upcoming live Blu-ray since I’m sure they were excellent. I saw Santana numerous times throughout the ’90s, prior to his/their Clive Davis makeover into pop stars, and every show was spectacular. I’m sure the show you attended in ’87 was also great. I think I have a bootleg CD of the Woodstock lineup’s 20th reunion. Hard to believe they’re approaching the 50th anniversary in just a few years. I don’t know this one at all. Not familiar with Journey pre or post Perry, to be honest. The cover, though. The chap / chappette that came up with that should have got their jotters! 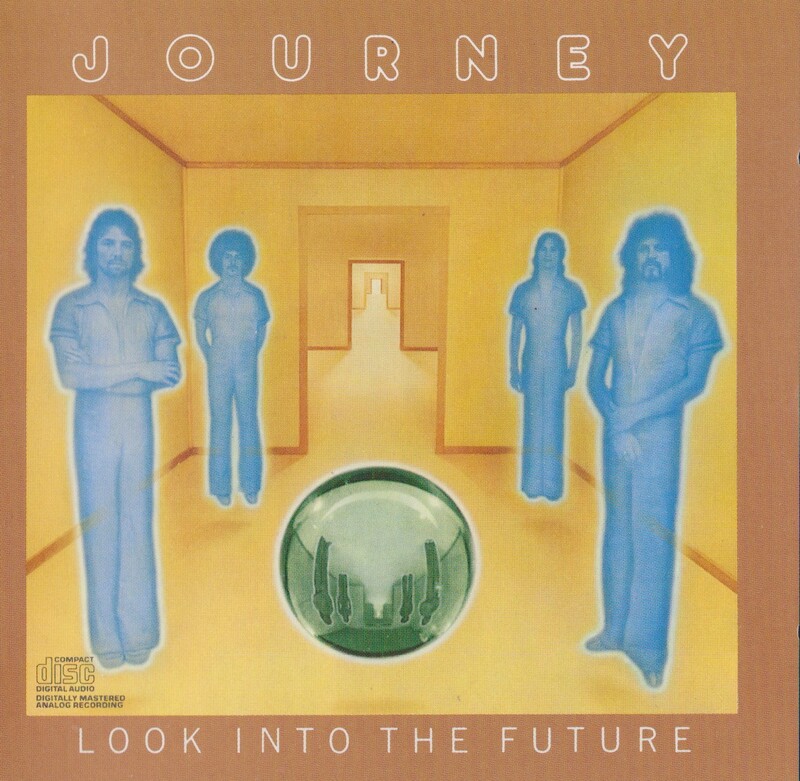 Of the three pre-Perry albums, this gets the nod for WORST COVER and therefore worst Journey cover of all time. Haha who are some of those people? Wowzers. A 3/5… I guess this album just makes you (feel alright). And again with the crappy album cover art. Just… whoa. I didn’t realize there was a pre-Perry era, Journey’s still largely undiscovered for me, your reviews are guiding me nicely Mike! 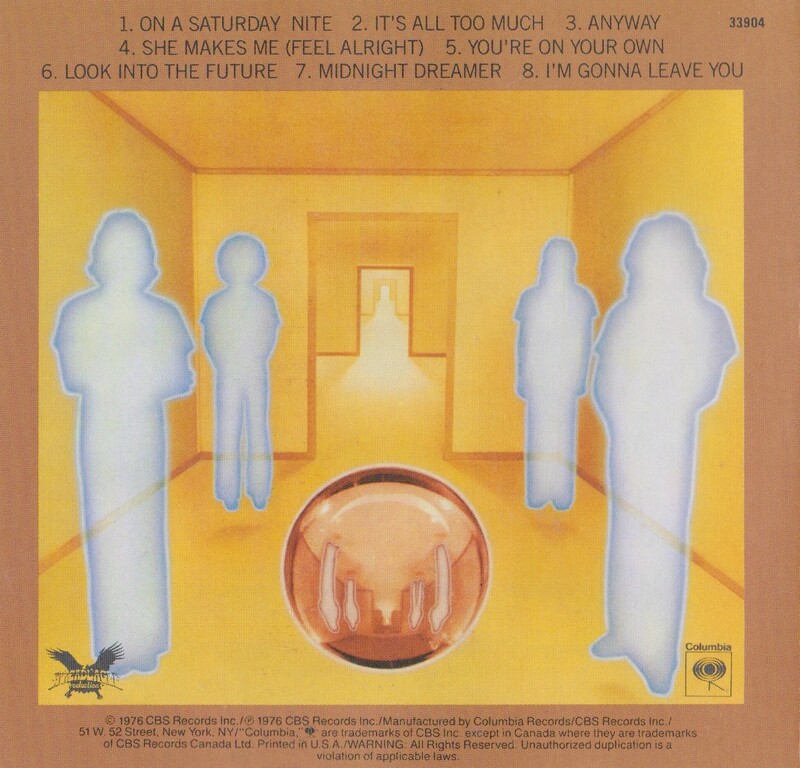 Was that album cover supposed to be the Starship Enterprise transporter platform? Sounds interesting. I may have to make a journey to find this early Journey. Wait. What?